The Hungaroring is a hard one to pin down. 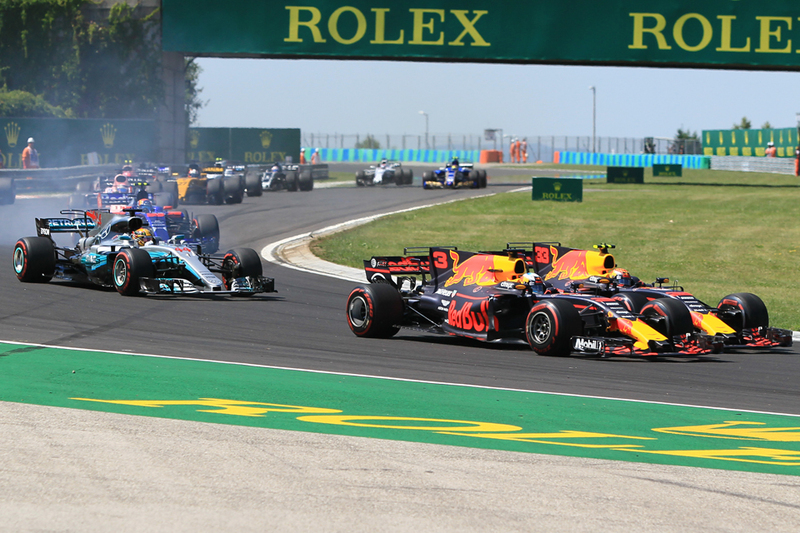 This is even though we have had plenty of time to form a view - this weekend's visit will be the 33rd time without interruption that it has hosted the annual Hungarian Grand Prix. Can Ferrari lead the way like last year in Hungary? It goes right back to when the fraternity first rocked up in 1986. Crowds were vast, its facilities gleamed, the welcome was warm and everything had been laid on. Many cite it as the first of the sort of national-backed purpose-built autodrome that now dominates the calendar. For good or ill.
More pointedly views on the track's layout varied as well. Tight and sinewy with little opportunity to pass, it still has the lowest average speed of any purpose-built track on the calendar. 'Monaco without the houses' quickly became its label. Yet even so the track is challenging and its popularity among drivers is reasonably widespread. Moreover the Hungaroring over time developed a knack of being the stage of drama, often of the sort wherein great drivers put in great drives - as a technical track on which the driver can make the difference. Nigel Mansell's against-all-odds beating of the McLarens from 12th on the grid in 1989; Damon Hill oh-so nearly pulling off probably the biggest shock win of all time in the Arrows in 1997; Michael Schumacher's suspension of normality in 1998. There are plenty other examples besides. With this it's appropriate that in advance of this latest visit the winner feels a tricky call. If we are to go with the track's status as Monaco without the houses that takes us immediately to Red Bull. It won in the Principality earlier this year and would likely have had a one-two without Max Verstappen's practice prang. Daniel Ricciardo took a load of engine penalties in Germany with this very race in mind. The Hungaroring is a track that looks to the untrained eye like it could be designed for the fine-handling but not powerful Red Bull. The trouble is its record here is oddly poor. 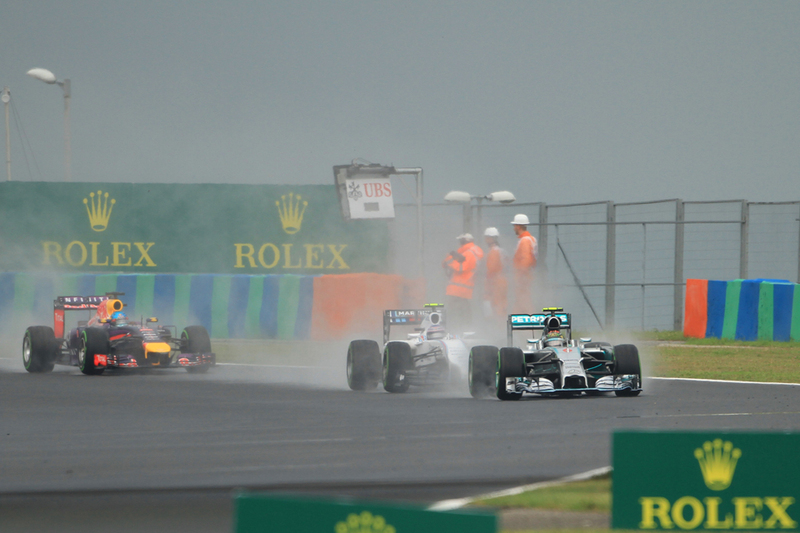 Red Bull has only won here twice, and one of those was in a crazy rain-affected race in 2014. Ferrari was next up in Monaco and may be the favourite this weekend. 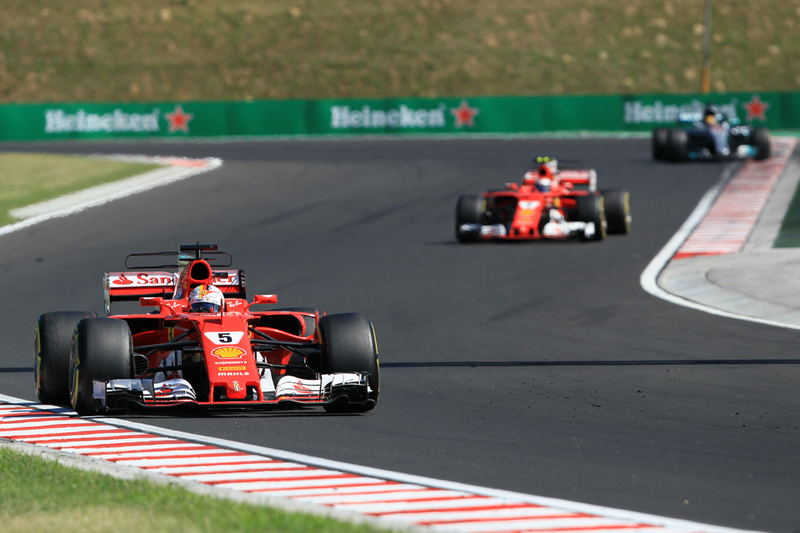 It has been in fine form (on pace at least) lately and Sebastian Vettel has won on two of his last three Hungary visits. He led a Ferrari one-two in qualifying and the race here last year. Mercedes as it did in Hungary's distant cousin of Monaco may therefore find itself bumped down to third from three. Recent visits to slow and tortuous tracks suggest that Ferrari and Red Bull can extract more downforce than it when downforce has to be maximised. Merc does though have a conspicuous crumb of comfort in the shape of Lewis Hamilton, who has revelled in the go-kart track-esque low grip surface challenges and won here five times. Confusing the matter though his most recent visits haven't been entirely convincing. In 2015 he looked set to dominate but drove like a hooligan on race day after a poor start. 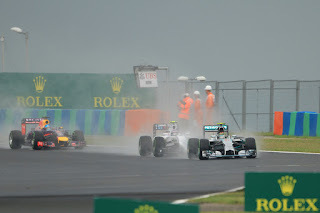 In 2016 he binned it on Friday and it wasn't clear after that if he had the legs of his then team-mate Nico Rosberg; his victory owed mostly to getting ahead of him at turn one. Last year a substandard qualifying session framed his race. 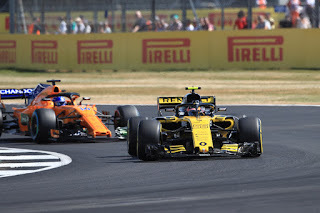 Outside of the big three teams it'll be worth watching the Spanish pair of Fernando Alonso and Carlos Sainz, both of whom appear Hungary specialists. 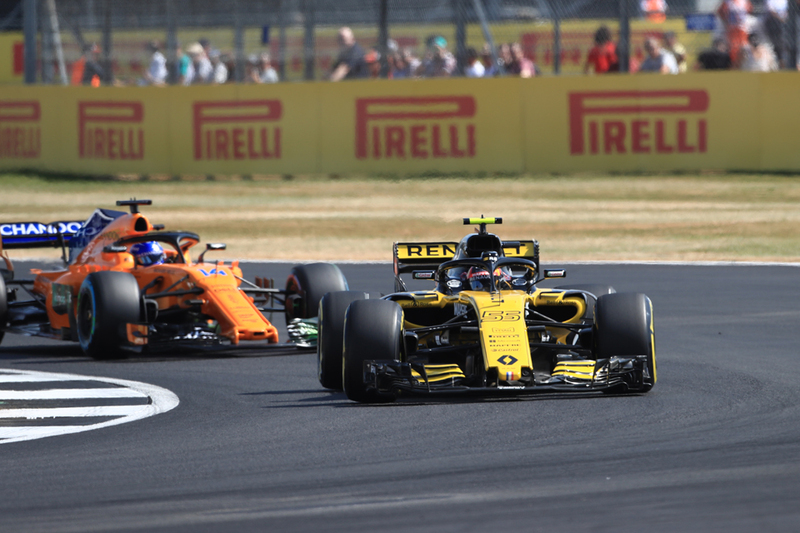 Sainz has bagged an eighth and seventh place in his last two Hungarian Grands Prix while Alonso's last three finishes here read fifth, seventh and sixth. He also bagged fastest lap last season. The main problem for Alonso is that McLaren has struggled with low speed grip this year, which you need at the Hungaroring. As noted a perennial Hungaroring factor is that overtaking is very difficult. Much of this track's trouble is in its succession of slow yet often lingering corners, and especially the one that leads onto the track's only straight worth the name, through which the front grip of cars tends to wash out in another's wake. We had extreme demonstration of this last year when Vettel was able to maintain first place despite being hobbled with a steering problem for much of the way. "The other guy has to do quite a big mistake or have some issue," noted the guy following him, Kimi Raikkonen, on the prospect of passing at this track. Safety cars aren't all that common here either. Qualifying and the start therefore mean a lot. 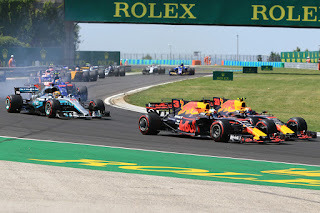 Prior to 2017 one-stop races were close to unheard of in Hungary races, as the local sapping heat combined with the long turns tend to ask a lot of the tyres. But last year the Hungary race fell into line with low degradation and one-stoppers pretty much all round (taking away with them some of the few possibilities of order changes). Pirelli though has sought to alter this this time by as in Germany having a 'step' between available tyre compounds - intended to encourage strategy variation - as well as by bringing the ultra-soft tyre to Hungary for the first time. Last year the super-soft was the softest compound brought. Whatever is the case in-race strategy is likely to be a lot about ensuring track position, in another Monaco parallel. There are though some recent-ish examples of people getting joy through getting creative. In 2016 Raikkonen started in P14 and made it up to sixth at the end with a back-to-front approach starting on the soft tyre. Mark Webber did similar in 2013 to leapfrog from tenth to fourth. That race Raikkonen also vaulted to second by stopping once fewer than those around him and achieved similar the year before except via an offset approach wherein he pressed on for longer before his stops. Ricciardo might have won the crazy 2015 race after saving a set of soft tyres in qualifying to attack on them at the end of the race. It's not solely about intense heat here though. Rain also has been a fairly frequent - and sometimes sudden - feature and long range forecasts have thunderstorms around on Saturday and Sunday. As we saw at Hockenheim rain can really put a cat among the pigeons. A further aspect this place shares with Monaco is rapid track evolution over the course of the weekend, meaning bum steers on tyres and set-up in Friday practice are a risk -- there is a mantra here that tyre degradation halves between Friday and Sunday. The track isn't used all that much across the rest of the year plus the hot climate means plenty of dust around. Even as the race nears its end ventures off line are unlikely to be rewarded. Races here often have a marathon quality too - a long afternoon in the heat with little opportunity for drivers to rest. It can be similarly demanding of equipment, as there are few opportunities to cool components. Technical attrition often is higher than usual. As outlined, things are rarely all that simple at the Hungaroring.